Image Comics took New York by storm today with instant sell-outs of BIRTHRIGHT #1, the eagerly anticipated new Skybound/Image series by Joshua Williamson and Andrei Bressan, as well as the second issues of the hot new series COPPERHEAD by Jay Faerber & Scott Godlewski and THE FADE OUT by Ed Brubaker & Sean Phillips. All three series are being fast-tracked to second printings in order to meet customer demand. In issue #1 of BIRTHRIGHT, readers meet the Rhodes family, stricken with grief over the disappearance of their young son. But the tragedy of his disappearance could not prepare them for what happened when he returned. Skybound's newest original series is filled with plot twists and turns fantasy into reality with this extra-sized first issue priced at only $2.99. COPPERHEAD's readership continues to swell as the science-fiction western that Brian K. Vaughan calls his “favorite new comic” continues. In issue #2, Sheriff Clara Bronson and Deputy Boo continue their investigation of a multiple homicide just outside the Copperhead city limits. Meanwhile, Zeke Bronson gets in way over his head in the Badlands. Bestseller dream-team Ed Brubaker and Sean Phillips continue to draw fans of crime noir with the series that critics are calling a masterpiece and their best work yet in THE FADE OUT. Issue #2 picks up the hard-boiled crime mystery where it left off and the questions continue to pile up: Was a murder covered up? Did the movie starlet commit suicide? How will the show go on with a dead leading lady and an unfinished film? The answers will lead readers down a darker and seedier path than expected. “I'm stunned,” said Brubaker upon hearing of THE FADE OUT’s sellout. “Our numbers went up and we still sold out. It's amazing to see such a fantastic response to such a labor of love from me and Sean and Bettie." BIRTHRIGHT #1, COPPERHEAD #2, and THE FADE OUT #2 have completely sold out at the distributor level, but may still be available in comic stores. They are currently available digitally on the Image Comics website (imagecomics.com) and the official Image Comics iOS app, as well as on Comixology on the web (comixology.com), iOS, Android, and Google Play. Image Comics is pleased to announce that all three of these white hot new series will be going back to print to meet customer demand. The second printing of BIRTHRIGHT #1 (Diamond Code AUG148516) will release on 11/5. The second printing of COPPERHEAD #2 (Diamond Code AUG148514) will release on 11/5. The second printing of THE FADE OUT #2 (Diamond Code AUG148515) will release on 11/5. 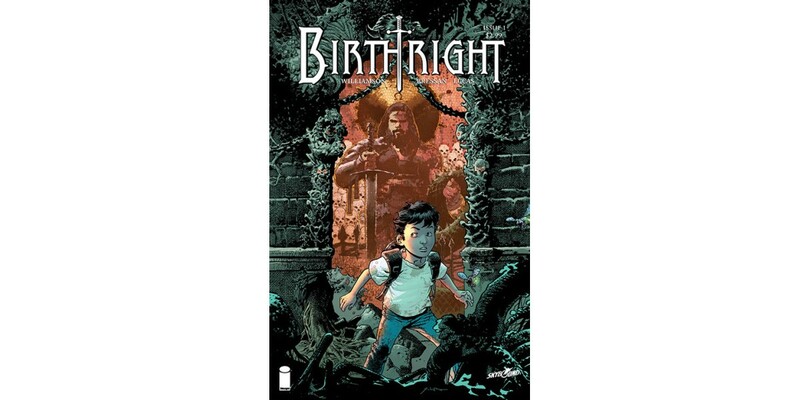 BIRTHRIGHT #2 will release on 11/5 and can be pre-ordered with Diamond Code SEP140711. COPPERHEAD #3 will release on 11/5 and can be pre-ordered with Diamond Code SEP140713. THE FADE OUT #3 will release on 11/5 and can be pre-ordered with Diamond Code AUG140646.